We believe that the good choices that we make today will directly benefit future generations. Unfortunately our government is still laxed in not enforcing laws concerning HDPE single use plastic bags. Worldwide, countries have outlawed or introduced taxes to change consumer’s behaviors, forcing business to move away from handing out these types of bags, as they just clog our landfills, kill marine life, and pollute our countryside and beaches. We have created a simple table to guide you, arranging our bags in order of ‘Goodness’. We hope this will assist you to understand the differences between substrates and their impact on the environment. The good old brown paper bag is still an item that can be recycled, along with paper refugee collections. Our parents used paper prior to the invention of the HDPE single-use plastic bag of today. Paper is soluble when in contact with water, rots away relatively easily, can be reconstituted, and recycled for a second life cycle. The social impact is minimal. The pollution aspect of the environment is minimal. When discarded the contact with moisture and water allows the bag to break down to a pulp over time. If the paper bag enters the ocean, the agitation effect breaks the bag down. There is no plastic fragment left behind for sea life to digest. High-energy consumption is required in the production of paper. Chemicals are used in the production processes. Although we are utilizing trees to produce these bags, reforestation ensures there is new supply on a global scale. Polypropylene Non-woven fabric shopping bags have quickly become a substrate that business and consumers have accepted as a reusable bag. Although a derivative of fossil fuels, non-woven fabric is exactly that. It is not a woven fabric like cotton or hemp. No yarns are used in the production process. The polymer is an extruded liquid via a fine filamentation process, extruded onto a fast-moving heat temperature controlled bed. Once the liquid hits this bed, it sets, forming a fabric. Polypropylene is a relatively weak polymer, if exposed to sunlight over long periods of time it will eventually break down, as long as no UV inhibitors have been added to the production processes. Social responsibility lies with the consumer. The petroleum based bag is recyclable in your plastics recyclable bin as it is level 5 rated , on a scale from 1 to 10 . It will degradable over time if discarded in the open environment. It will leave minute trace fragments within the soil or ocean environments. Energy consumption is relatively low, as the manufacturing processes do not require large polluting smokestacks, the waste polymer can be reconstituted back into the manufacturing processes. Disposal should be by way of placing your bag in the plastics refugee collections. Non-woven bags sure beat accepting another HDPE extruded film single-use bag. By shopping with your non-woven bag and continuing to re-use, you are slowing the proliferation of plastic film single-use bags. There is a wide range of opinion on just how environmentally sound the cotton fabric is, whether it be organic or standard cotton fabric. Cotton fabric is woven from spun yarn in its natural form or dyed form. Cotton farming producers around 40 million tons each year from 90 Countries. It can take more than 20,000 litres of water to produce 1kg of cotton. 75% of the global production comes from USA, China, India, Pakistan, Uzbekistan, West Africa. 3% of the world’s cropland is planted with cotton, yet it accounts for 24% and 11% of the global sales of insecticide, pesticides respectively. It’s a classified as a heavy industrial process, there’s mixed opinion on just how eco-friendly these processes are. We use both natural and dyed cotton fabric for our bag production as we believe it is a far better alternative to extruded toxic HDPE film plastic—discarded within 12 minutes of use on average, killing marine life, choking our landfills and littering our countryside. Compostable Starch based single-use film bags are all the norm today in many countries within Europe. Countries with large populations have been forced to cease the use of single use HDPE plastic bags, due to the substantial pollution aspects, the devastation such bags cause on land and sea,within NZ these bags should be outlawed or heavily taxed to reduce there use to change business and consumers habits. Our starch-based single-use bags are certified fully sustainable. These do not leave plastic fragmentation, in the soil or marine environments. Microorganisms eat the starch compound bags, when they are placed in the soil or composted. They breakdown when discarded, as moisture,oxygen,sunlight attacks the bag. The bags can be placed in landfill where moisture and heat will break the bag apart and rot this , alternatively dispose of the bag in correctly prepared home composting situations. 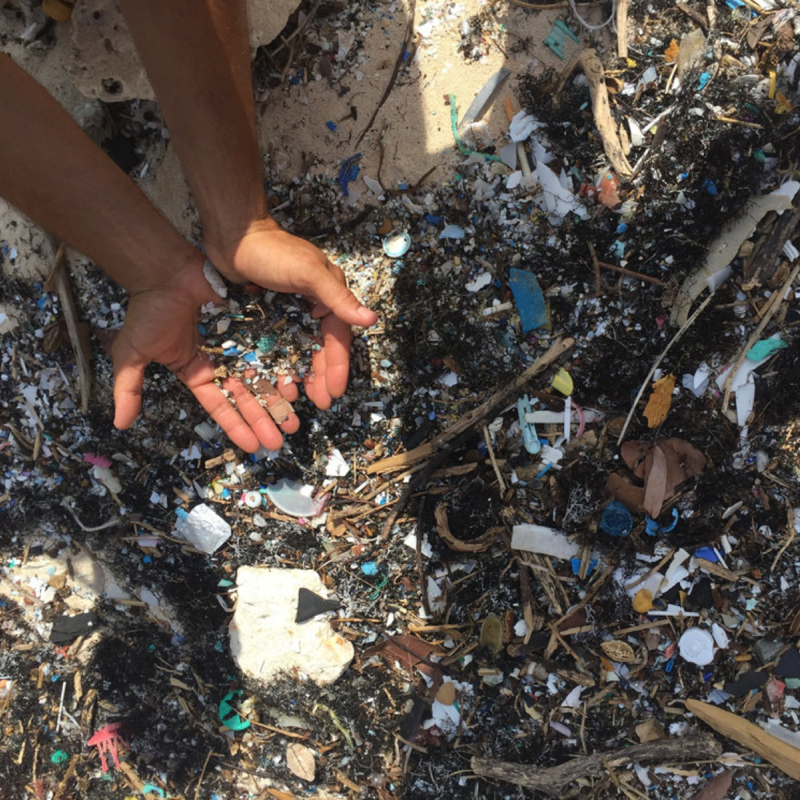 If you’re concerned about the amount of toxic HDPE plastic extruded film bags your business is handing out daily, the destruction these bags are causing on our environment, then its time to switch. Starch is definitely the better alternative. Although not quite as robust as an HDPE bag, they are perfectly fine to do the job at hand. They carry good weight capacities,are waterproof to the rain showers. Be kind on the planet . Take the alternative . Energy consumption is the same as producing plastic extruded films as the same production machinery is used to produce starch film bags. Disposal is simple. Use as a bin liner as you do today with a toxic plastic bag or simply compost the bag in correctly prepared compost situations, to ensure that you are disposing of it correctly. Hemp is one of the most sustainable fibres grown on the planet today. Extremely sustainable in that it grows easily, takes little water or irrigation, grows in poor soils, requires no concentrated fertilizers or heavy commercial sprays. Hemp seeds are proven to be invaluable containing Omega 3 and 6, B vitamins, magnesium, zinc, iron, and a very high source of protein. Today hemp oils and other consumer products are proving to be popular for all types of ailments. Hemp fabrics are soft and supple, similar in feel to linen and able to be reused over several years as a carry bag. It is a far better alternative to Jute which some believe is natural,which is mainly supplied from India ,under scrupulous labour conditions,massive polluting burn off smoke stacks into the atmosphere.Cotton, which require heavy pesticides commercial sprays, are very labour intensive and use a multitude of chemicals in the production processes.It is common knowledge that to produce 1kg of cotton fabric , it take 20,000 litres of water. Energy consumption is low when hemp fabric is produced in the traditional methods, whereas today the fibre is spun into yarn, the same wrap and weft weaving processes adhered to in larger industrial manufacturing facilities. When your hemp bag becomes worn out or holed, it’s time to let it rot down in the open environment or dispose to a landfill refuge. There are no toxic chemicals or plastic fragmentation left behind. We use spun lace non-woven bamboo fabric. The fabric comes undyed in its natural form mimicking the look of cotton fabric, but a lot softer in feel.Its a beautiful silky soft fabric . Vibrant white , as the colour on the inside of the bamboo plant . As a quick growing plant cellulose material, it does not require irrigation, fertilization, chemicals or pesticides during the growing process. It’s resistant to drought and waterlogging. Bamboo fibre is praised as ‘ the natural, green and eco-friendly new type textile of the 21st century. Bamboo is an extremely sustainable crop with intrinsic characteristics being anti-bacterial, anti-ultraviolet, excellent penetrability, breathable, super soft handle. Bamboo fabrics are 100% biodegradable in soil by microorganisms and sunshine. The degrading process does not cause any pollution, naturally returning to nature. The production of bamboo fabric is not a heavy industrial process. requires relatively minimal energy consumption. As a reusable bag substrate, bamboo carry bags can be composted naturally in correctly prepared home composts or returned to landfill to degrade,rot down .